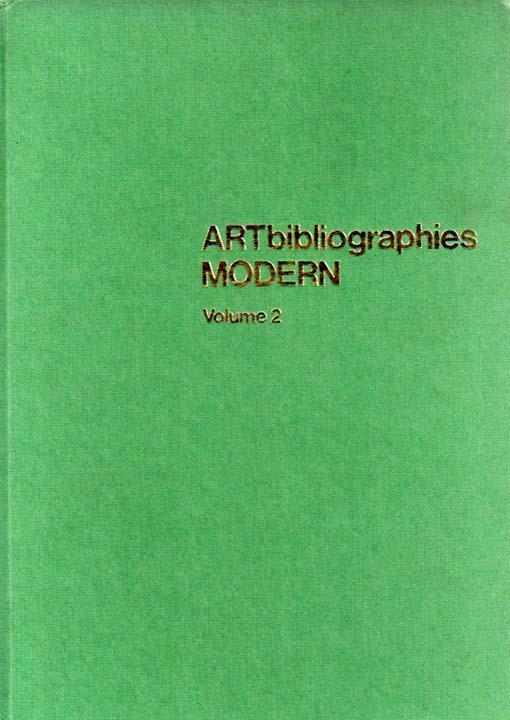 0903450011 - ARTbibliographies MODERN. Volume 2. Formerly LOMA 70 (Literature on Modern Art 1970) compiled by Alexander Davis. ARTbibliographies MODERN. Volume 2. Formerly LOMA 70 (Literature on Modern Art 1970) compiled by Alexander Davis. Detailangaben zum Buch - ARTbibliographies MODERN. Volume 2. Formerly LOMA 70 (Literature on Modern Art 1970) compiled by Alexander Davis. Herausgeber: ABC - CLIO Inc., Santa Barbara / Oxford.